This is a special announcement post. I will return to the regular series tomorrow (Friday). 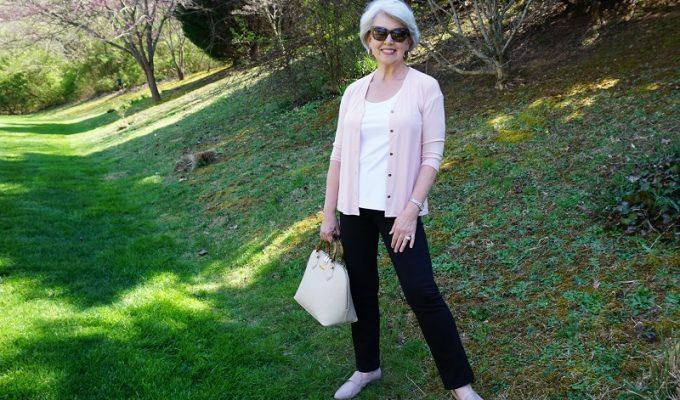 For those of you who have enjoyed wearing the basic crepe items I offer on my site, I’m sorry to report that I must discontinue offering those items. What remains in my inventory is all that I will be able to get. The designer will no longer accept my small orders. 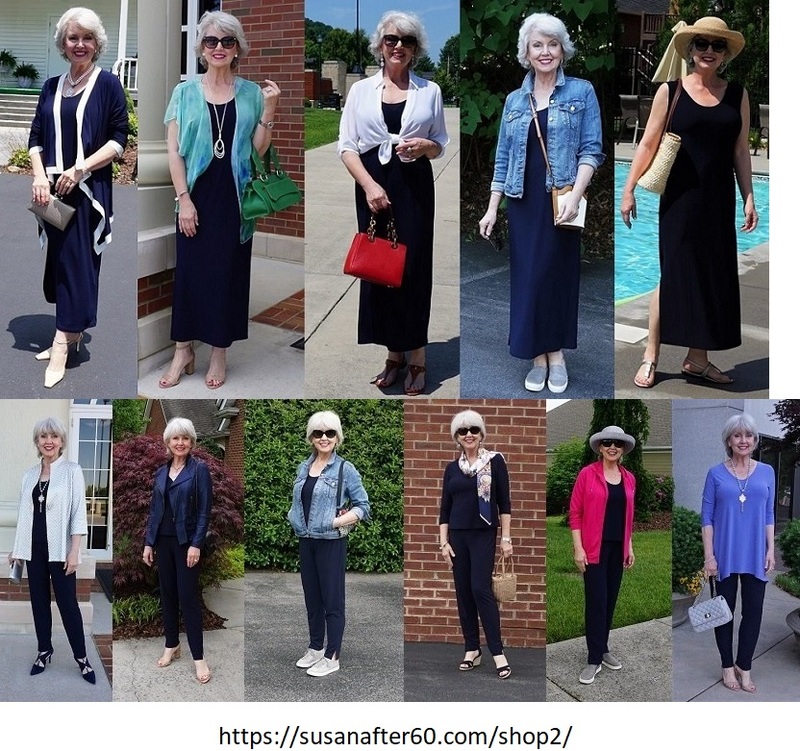 These images show some of the many ways I have worn these crepe items. The crepe tops, pants, and dresses are here on my site. I will include a free satin scarf with each crepe purchase until they are sold out. Thank you so much for shopping with me. This is such a bummer. Not accepting small orders — I love the pieces I bought from you and your modeling of the pieces and descriptions is so helpful. I’ll look forward to see what else you have in your shop. Oh bummer! I love the pieces I have! May have to rethink and order another pair of the pants. Sorry to hear this as I think they are fabulous! Sorry to hear this happened, Susan. But when one door shuts…. Thank you Susan for providing the lovely crepe collection for as long as you have. They say all good things come to an end but I am especially sorry to know that your crepe items will soon be depleted. I feel lucky to have been able to buy the basic black pants, a tank dress and should soon be receiving the navy pants I have on order. These form the basis of my wardrobe and they are beautiful to wear – the fabric is so soft and forgiving to a few extra curves these days. So ladies, don’t leave it too late. Thank you, Audrey. I’m glad you have some of the pieces to enjoy. I’m happy to ship worldwide! 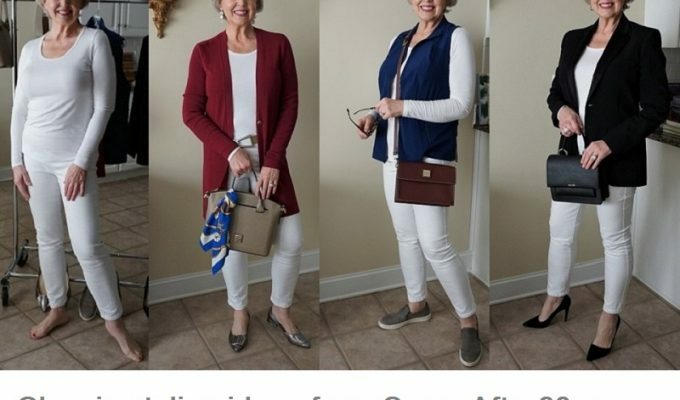 I have always admired how you look in these Susan, and considered ordering a pair of these pants several times, but just was never sure about their overall length. 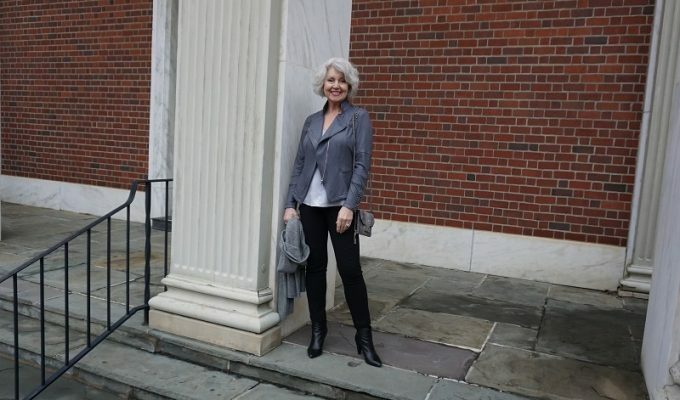 I’m 5’9″ and require a minimum inseam length of 33 — what is the length of regular sizing? The longest is the Style 704. They are thirty-one inches long. Your knits have been a blessing and I am so thankful I have ordered several. Thank you. I smile each time I pack your orders, Jill. Thank you ever so much! Can you please share where to get these basics pieces. They look so versatile? They are from my shopping site. Check here for what remains in my inventory.